Wirt doubled up as his stomach suddenly cramped. For a moment, he though he had been hit, but that hypothesis went by the wayside as the feeling spread to every muscle in his body at once. As far as Wirt knew, and thanks to some of his earlier misadventures he did know, not even three people could manage to hit you everywhere simultaneously. Wirt forced his eyes open, and then quickly shut them again, because the golden radiance surrounding him was simply too bright to look though. Around him, the gasps of the three bullies were clearly audible. The sounds of a scuffle came to Wirt, but they were quickly replaced by silence. He didn’t really care, because by now the unpleasant sensation running through his body had reached unbearable levels, feeling as though every scrap of him were being pulled in a different direction. As suddenly as it had come, the sensation passed. Wirt had to concentrate just to breathe, and he stood like that for long seconds. He didn’t dare open his eyes, at least until it occurred to him that the three older boys might still be there waiting to hit him. 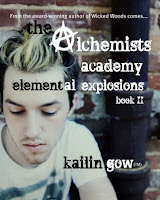 That made his eyes snap open so quickly that for a second he couldn’t make sense of anything around him. When he did, Wirt took a step back, and that itself was surprising enough, given that there should have been a chain link fence in the way. Instead, he was standing in the middle of a field, with no sign of any fences anywhere in sight. 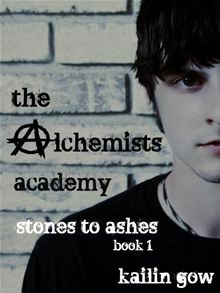 A new student has entered The Alchemists Academy, and he brings with him an explosive power that threatens the Academy and the legend of Merlin. Wirt thought he was the only bad boy at the Academy, but he was wrong. Not only is Roland Black worse than Wirt, but a new teacher had replaced one of their beloved teachers, and she has more planned for Wirt and his friends than just lesson plans. Alana, his crush has grown prettier, and now he is rivals for her attention with not only his best friend Spencer, but newcomer Roland, as well. On top of that, it is their second year, and the year where all the students must pass a test to move on to the Elite Class at the Academy. 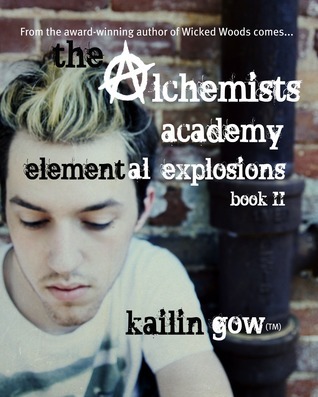 The Elite Class is the only class in the third year at the Academy, and the students who fail will be sent home, others will face something even deadlier. His dream mother and father didn’t say anything. They just smiled and stared at the box in a way that suggested that Wirt was missing something. Not knowing what else to do, Wirt reached down into it, searching it by feel in case there was something at the bottom that he might not have noticed. There was. Wirt yelped as something closed around his wrist, and tried to yank his arm back. It didn’t move, and as Wirt looked down, he saw dark fingers clasped on his arm. They weren’t just dark-skinned; they were absolutely black, as though carved from onyx or jet. They were as implacable as stone too, refusing to relinquish their grip as Wirt tried to jerk away. “Help me,” he said to his parents, but they just shook their heads sadly, staring in that way parents had that told you that whatever was happening was for your own good. The arm pulled at Wirt, and it pulled with far more strength than Wirt had ever experienced. He tried his best to brace himself against it, but slowly, inexorably, the hand drew him towards the box. That swirled with darkness now, and Wirt got the feeling that it was suddenly far deeper than it had been a moment ago. He found out as the hand dragged him in, though how he fit into the box, Wirt wasn’t sure. He only knew that he fell. Only after a second or two, he wasn’t falling. He was walking along a tunnel instead. The walls were of natural earth, while huge tree roots showed up at intervals like roof beams and standing stones lined the walls, marks on them seeming to tell a story that Wirt could not understand. 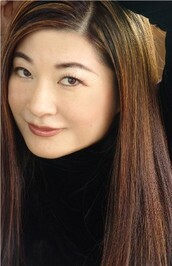 Kailin Gow is also the President of a media company, a media personality, and has been writing full-time since she was first published. Holding a Masters in communications management and leadership positions in Fortune 500 corporations, she puts her leadership abilities, her experience, and desire to help others into her fiction books. As a result, she has written the forthcoming, Finding the Heroine in You book which is also a national tour. She is a mother and spends whatever spare time she has volunteering at the Red Cross, Battered Women's Shelters, and other organizations.